A tricky little piece to make, the joy of using it makes the hassle well worth the effort. 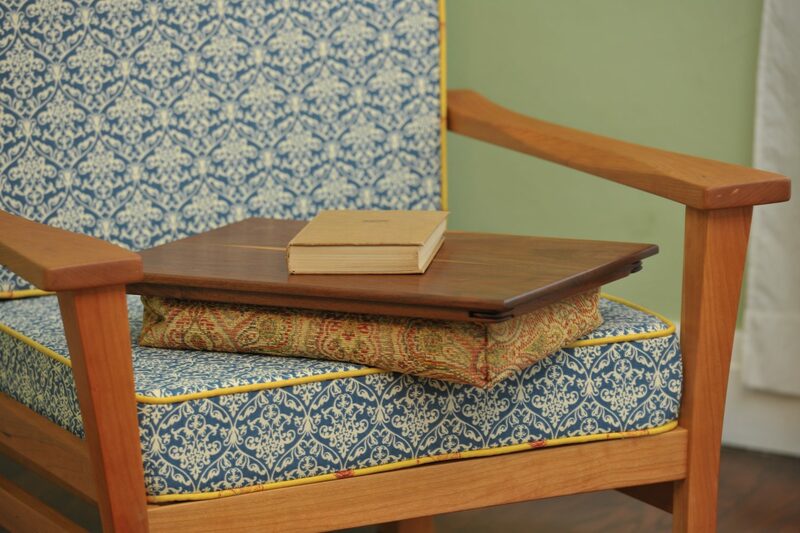 Perfect for reading and note taking, letter writing, or to aid with the ergonomics and heat of a laptop. 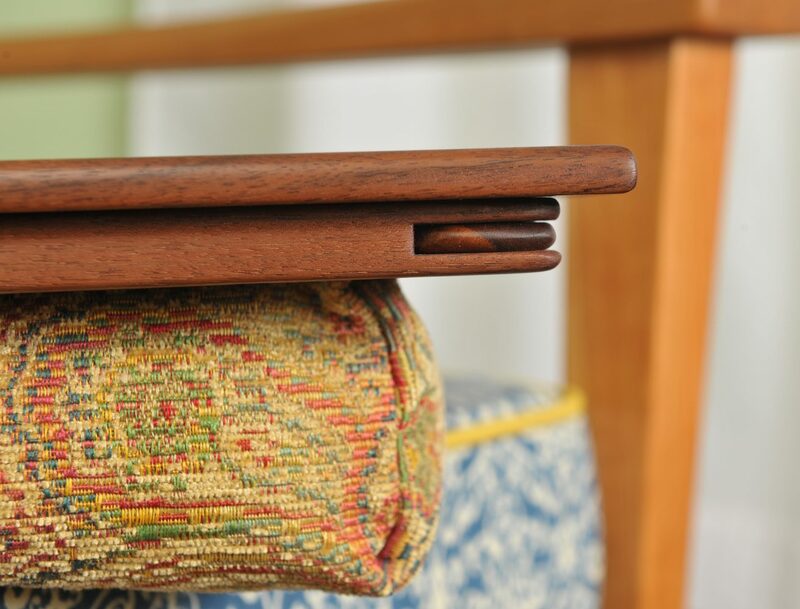 The cushion is hand made with a walnut frame joined by hand cut bridle joints. Size W19" X H4" X D13"